As you spruce up your home with spring cleaning, it is important that you also address your HVAC system. Implementing proper HVAC spring maintenance can help you to discover and treat maintenance issues before they become a problem. 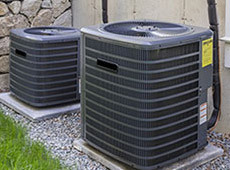 Check out these five tips to prepare your HVAC system for spring. The air filter can become built up with the various particles that are floating around in the air in your home. It’s important to keep your system functioning properly and the air in your home clean. Keep your system clean by checking and replacing the air filter in your HVAC system at least once a month. Though it is good for you to examine your system, it is critical that you also have it looked at by a professional. 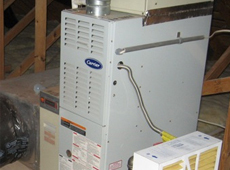 Contractors are experts with the HVAC systems and are trained to spot and treat issues properly. When the contractor comes to service your system, ask that your ductwork be tested. Having any leaks in your ductwork fixed can help to increase the efficiency of the system, which can save energy and reduce your utility expenses. If you do not already have one, installing a programmable thermostat can give you better control of the temperature in your home. You can decrease your energy use when you are not at home or when you would like to enjoy the natural elements. This can also help to decrease your energy bill. It is inevitable that your system will need to be replaced. 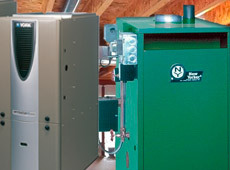 If you system has grown old or is inefficient, spring is a great time to have your system replaced. Consult with knowledgeable contract professionals to consider your options. A new, energy efficient system can be a beneficial investment. 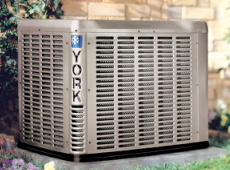 Looking For Spring Maintenance On Your HVAC System? If you are looking for air conditioning maintenance, call Weidner Energy Savers today! (610) 373- 5141 or (215) 355-7500! This entry was posted in Maintence and tagged 5 tips, hvac system, spring. Bookmark the permalink.